The Racing Officials Accreditation Program is excited to host the 2016 ROAP Conference on Officiating Horse Racing in conjunction with the University of Arizona Race Track Industry Program's Global Symposium on Racing and Gaming. The eight hour conference will be held on Monday, December 5 at Loews Ventana Canyon Resort in Tucson, Arizona and will be eligible for eight (8) hours of ROAP Continuing Education credits. The conference will feature two half-day panels and a luncheon with the keynote speaker. Cost of the conference is $75.00 to attend. Agenda and registration details below. Discounts may be available for the RTIP Symposium as well. 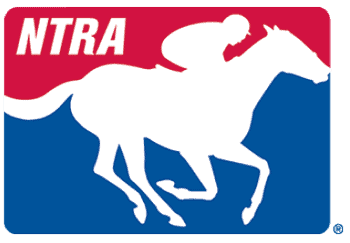 Equibase on race charts and racing programs. There will be an additional panel of three stewards and judges who have experience with all three breeds: Quarter Horses, Standardbreds, and Thoroughbreds. This panel will comment, answer questions, and make recommendations. The cost of the conference is $75 (PayPal link for payment below). This conference will qualify for eight hours of ROAP continuing education credit for accredited stewards and judges. Those attending the University of Arizona RTIP Racing Symposium will receive a $50 discount. Stewards and judges attending the University of Arizona Racing Symposium will receive an additional eight hours of ROAP continuing education credit. Please sure the register link below for the ROAP conference. Those interested in taking advantage of the RTIP symposium discount, please contact Betty at RTIP (520-621-5660). Also, contact Betty at RTIP for hotel information.